Hello! 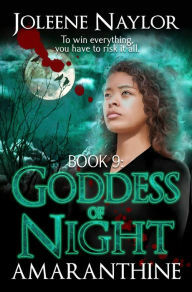 My name is Jorick and I’m from Joleene Naylor’s Amaranthine series. 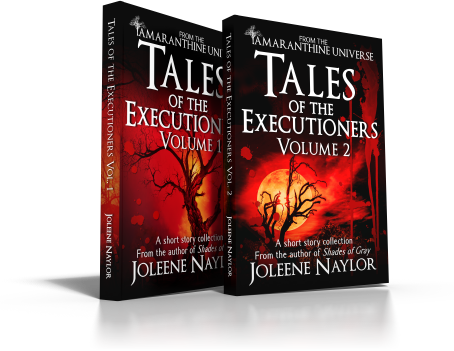 Using state of the art-mumbo-jumbo-author magic, Jo normally has Katelina interview other authors’ characters but now we’re interviewing fellow Amaranthian’s with questions that come from you, the readers. Oren: Yes, and I have no interest in answering questions, let alone from her. Why are we doing this? O: No, I think you have to ask them all. J: Wonderful. I’ll warn you, they’re an unruly lot. You should have seen the things they asked me – my underwear, for God’s sake! O: I’m not answering underwear questions. O: I assume that’s clever slang. O: *rolls eyes* She doesn’t have her own phone, and this is precisely why. We have one cellphone which we share and no, you may not have the number. She’s a big enough -I think you can imagine the word – already. O: They thought so. To be honest, I was on the southern side, for the most part. I wasn’t really interested in the bureaucrats in the north telling us what to do. On the other hand, the Vampire government has been doing the same thing since it started. They have one centralized location and tell everyone, hundreds of miles away, what to do, even though they aren’t there and have no idea of the individual circumstances. I will say that the war between the states made it easier to find food. If you waited, it would walk to your door wearing blue and carrying a gun. J: Yes, it did, didn’t it? I remember once I found some in the barns. They were quite surprised. O: *snickers* I imagine. All right, what’s next? O: Erm. Well. Yes. *looks uncomfortable* Jesslynn gave birth eight times though only Alexander and Tristan lived to be older than five months, but of course, we know how that ended. O: Oh, there’s been happiness. No one can live and have all of only one thing or the other. I remember when I married Jesslynn and we were… happy. My mother wasn’t, of course. Jesslynn wasn’t… what’s the word I want? Flouncy enough? She didn’t giggle and bat her eyelashes and flirt over her fan. As to whether I see future happiness… I don’t know. J: Time heals all things. O: Does it? *looks away* Next question. I’d like to get this over with. O: In that case, all right. I remember when Alexander was born. It was storming… Hmm. No. That’s not very interesting. Let me think. I remember the summer Bethina came to stay with us. She was still human then. She talked Alexander into wanting fireworks, and he spent a month relentlessly asking about them. He never whined or threw a tantrum, but at every turn it was, “Father, have you thought about the fireworks?” Of course he got them, in the end. Jesslynn forbade his lighting them, so Bethina did it for him. He would call out which one he wanted next and she’d send it up. He was quite enchanted with them and after that we had to get them periodically. Though they changed the laws shortly after to limit what was available. Alexander was especially sad to see the “Cherry Bombs” go, though I never understood why. They were just noise. At least the roman candles had colors and such. The interesting thing was that even after Bethina went… well, after she was turned and things went a bit wrong, she still lit the fireworks for him. It was one of the things she’d held onto, I guess. O: She was strong. She could survive on her own. She didn’t need me, or anyone else to coddle her, or protect her, or take care of her. She was intelligent, sharp witted and knew her own mind without needing me to tell it to her, as so many women did – and still do, for that matter. I see stories on television even of modern, supposed enlightened women who will allow men to do atrocious things to them rather than be alone. Jesslynn would never have stood for that. I raised my hand only once to her – it was accepted in those days – and that was over my mother. She’d insulted her to her face. Of course, you can’t have that, wife or no. Jesslynn hit me back, harder than I had ever hit her, and told me if I ever so much as considered that again she’d bury me in the cemetery next to my father. I believe she meant it. O: No, I wasn’t thinking of anything because I didn’t do it. That was Jesslynn. I told her not to, but she was convinced they would both die the way the others had if she didn’t do it immediately. I believe Alexander would have lived to adult hood, but she was right about Tristan. He was already showing the same symptoms as the others. He had no more than a month left. It’s a complex question – was it right or wrong – and at the moment I don’t feel philosophical. J: You know my opinion on it. O: As a matter of fact, I do. And you know my opinion on some of your choices. O: Do I have a choice? She is ALWAYS there, like a bad penny or a skin blemish. It wouldn’t be as bad if she wasn’t so mind numbingly weak! The simplest tasks elude her, and she can never, ever defend herself, or anyone else for that matter! J: And who else should she defend? O: Honestly? No, I don’t blame Jorick or even her for bringing them there, that was Patrick’s fault for telling Michael where Arowenia was, they’d have come even if Jorick wasn’t there, but I do blame the insipid human for what happened after they arrived. How hard is it to hide in a concealed room? It isn’t difficult, and yet she couldn’t manage it because Jorick wasn’t there to do it for her! J: I understand you’re still emotional about it, but be careful where you tread. O: I’ve thought about changing my diet, if that’s what you mean. I can think of someone who would make an excellent dinner and afterwards I’m sure the world would seem a far rosier place. J: What did I say? J: Don’t play stupid. I know what you meant. O: Of course you do! You know everything! I imagine you know the answer to the final question, don’t you? J: Yes, I do. The question is, “You’re so damned good-looking. Why haven’t you found some new lover?” And the answer is because no woman would put up with you. O: With me? Ha! I’m far easier to get along with than you are! You’re overbearing and condescending! J: Only because you need to be told what to do, not to mention you’re whiny, melodramatic, and you talk everything to death! O: Excuse me if I want to make sure that there is a viable plan in place first. J: Viable? Hardly! The plans are never viable! They’re always halfcocked and ridiculous, but we talk about them for hours anyway, we just don’t ever improve them! O: Do you think you could do better? If so, you’re more than welcome to try! *Katelina interrupts* No, he couldn’t. *she grabs Jorick’s arm*. He’s not joining anything, planning anything, or helping in anything. There. Was I being a strong enough woman for you? K: *shoves Jorick through the door. * Unfortunately Jorick must leave and we’re out of time, anyway. Thanks to Oren for bothering to show up. Join us next week when someone interviews Malick! O: *mutters* What? Not committing to that one, either? If you’d like to leave questions for Malick, please check out this blog and leave them in the comments section. Thanks! Oh My apologies Oren – I was under the misconception that it was you who turned the children. He’s speaking to Jorick – why is he using third person? Nope, the wife did it. he is to blame for Torina, though! Where does he use third person? TY! I sent you some comments on your story the other day, btw, did you get them? LOL! I dunno, he doesn’t seem to really want one…. Loved this interview. Well-done. 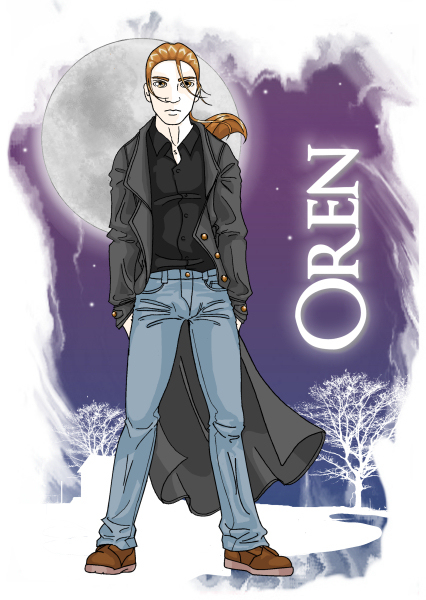 Oren did better than I could have imagined. Well i think jorick will be back next week. I can’t imagine anyone else interviewing malick! Great interview and very insightful! I especially enjoyed reading about Oren’s relationship with his wife, and children. I appreciate his candor. 🙂 Yup! I’m an even bigger fan of Oren now than I was before! He’s happy (in his own Oren way) to know there are now two members in the Oren fan club 😉 He secretly feels that Jorick has an unfair amount of admirers.